← You can help. Even if you just do one thing. 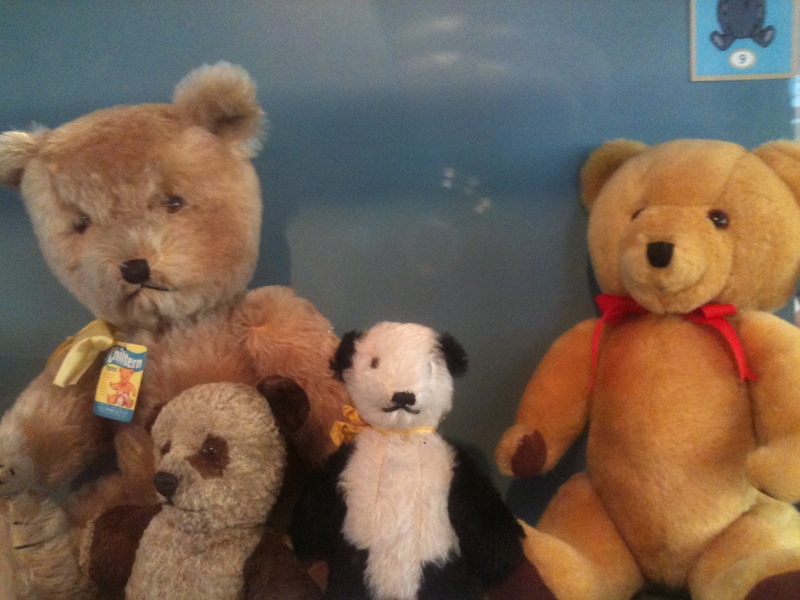 Last week I happened upon the Museum of Childhood in Bethnal Green. To be honest it’s more like a museum of nostalgia as the core audience seems to be thirtysomethings peering at their old toys in glass cases. There were some children there too, playing at being giant vegetables in the Food Glorious Food exhibition and acting out their own Punch and Judy stories with the help of Mr and Mrs Punch puppets. 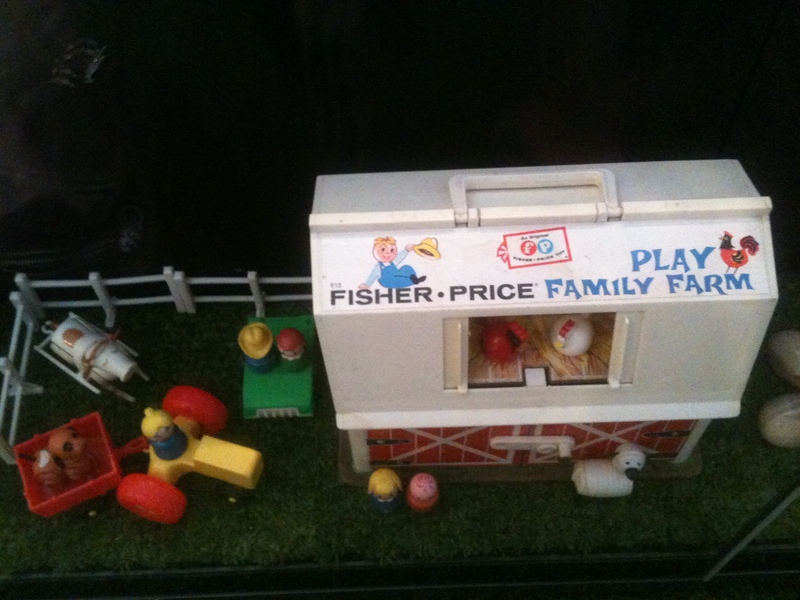 I had my own trip back in time; fond memories of my toy washing machine and iron, (Whoever bought me a toy iron please own up) Mr Greedy picnic set, the world of Beatrix Potter involving Mrs Tiggywinkle and the flopsy bunnies, Lego, Weebles, (wobble but they don’t fall down) Fisher Price and one of my first and still favourite books ‘Harry the Dirty Dog’. It’s no wonder that children are so creative. They have the stimulus of a wealth of toys with which they are encouraged to play and have fun with. Toys don’t have to be the latest expensive gadgets, one small person was having a great time with a sandwich wrapper. They are small masters at creating whole new worlds of possibilities. They are encouraged to play and are positively egged on by adults. But then something happens. We are expected to grow up. We go to school and we sit in rows and we are rewarded for getting things right, not for experimenting and using our creativity. We are taught formulaic language and maths skills. We are rewarded for success in ‘academic’ subjects. We become afraid of experimenting and getting things wrong. Play is no longer encouraged. We learn that we are rewarded for getting things right and conforming to the expectations of the school curriculum. Its safer to fit in than to stand out. I present at team days, creative workshops and conferences. When I ask adults to participate, nine times out of ten all eye contact ceases and people shrink into their chairs. They would rather die than volunteer to take part, partly, I think, for fear of what others will think of them if they ‘get it wrong’. In a room full of children I wouldn’t be able to move onto the next part until everyone had “had a go”. So if we want to be creative and come up with new ideas we need to be more like the children that we once were. Be braver, expect that sometimes we don’t get things right first time. And that’s ok.
Be playful, life is short. Having fun is important. Ask why, engage that curiosity that children have and learn to question more. Stop caring what the other kids think. You are a wonderful individual. Be who you are. 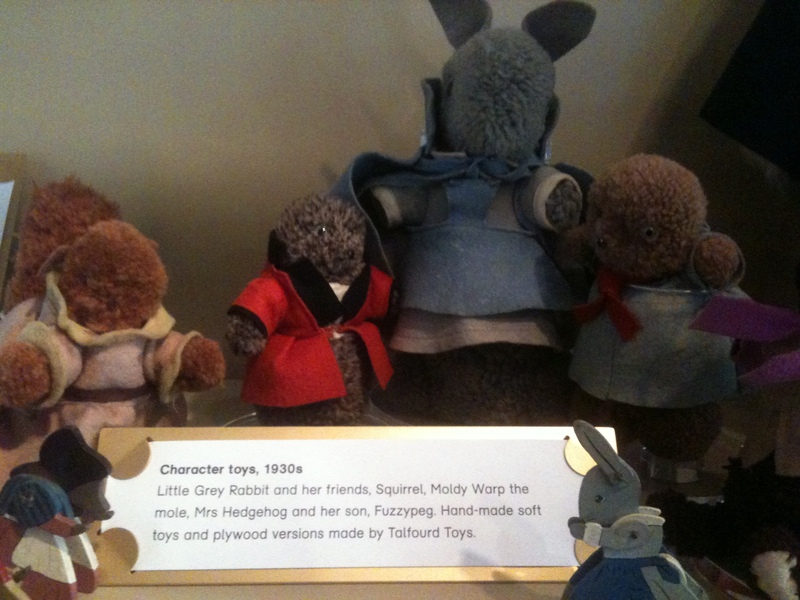 This entry was posted in childhood, creativity, failure, Innovation, Life and Death, Uncategorized and tagged Beatrix Potter, bethnal green, brave, childhood, children, conference, creative, curious, dirty dog, education, failure, family, fisher price, flopsy bunnies, food, fun, giant vegetables, glorious, growing old, Harry, ideas, Inspiration, inspiring, iron, kids, Lego, london, Mr Greedy, Mr Men, mrs tiggywinkle, museum, nostalgia, peter rabbit, picnic, play, risk, sandwich, school, Sir Ken Robinson, stories, Susan Jeffers, team day, thirtysomething, toys, V&A, washing machine, weebles, what if, workshop, wrong. Bookmark the permalink.